This month, our theme is balance. For my family, September is about the mad rush of back to school and trying to get into the swing of weekly classes, practises, and early bedtimes. It is hard to juggle the incredible weather we (usually) experience in September with the need to get adequate rest for the hustle and bustle of what we’ve signed up for. There’s just so much “outside-ing” to do before the weather takes a turn for the worst and I don’t want to miss any of it. We are booked up in September, but I like it. I’m content with how much time I’ve spent this summer lake swimming and splashing in Hume Park pool, sitting on grass doing nothing but sweating, and trying to come up with unique ways to convince my kid it really is bedtime despite the bright sunshine streaming through his curtains. I’ve been thinking lately that “busy” shouldn’t be the badge of honour it has become. I’ve noticed I’ve fallen back into saying “busy” when I’m asked how things are going. The truth is that I’m not busy all the time. When I track my time—and I do, it’s a habit I’ve gotten into as a result of being a freelancer who often bills by the hour—I can see that there are big chunks of my day where I’m not doing anything that would fall under “busy”: lunch with a friend, catching a movie with my kid, getting a pedicure. These are fabulous things to spend my time on. More correctly, I was “occupied”, not “busy”. There are also chunks of my time where I’m frazzled or pressured. For example, earlier this week, I was editing a document and it wasn’t going as fast as I’d like and I was worried about making the deadline I’d promised. Another time I only had 30 minutes to get somewhere 35 minutes away and I was feeling nervous about being late. Had someone called me on my phone and asked how I was at, I’d have said I was “busy”. But these chunks of time don’t equal the occupied and calm chunks of time, they just feel bigger. A lot of “busy” is actually just not being able cope with the stresses and demands of our modern lives as well as we think we are supposed to. You may have noticed that Tenth to the Fraser was a little quiet over the summer. That’s because I gave myself permission to shed my self-imposed burden of responsibility to post something every single weekday. It was making me feel frazzled and—yup, you guessed—busy for no real reason. 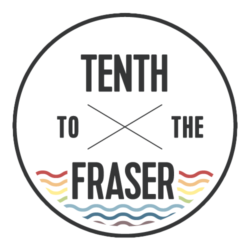 Tenth to the Fraser isn’t just about me and what I want to post. It has always been an arena for conversations and opinions from anyone willing to submit—we’ve always tried to provide a balance of opinions. So, this September, I’m going to continued posting at a pace that gives me balance, and I encourage you to submit something to help fill in the gaps to keep the conversation coming. Maybe writing something for fun will help you feel balanced, too. What kinds of posts are we looking for? Here’s some ideas to get you going. We’d love to hear from you. Tell us why your event or cherished organization is so great. Don’t just send in the event or organization details, write from your heart and tell everyone why they should get involved. I can help you edit it. What is it about New West that makes you happy? What makes you mad? How do you balance the demands of your work and your life outside of work? Tell us about your favourite activity that needs balance. Profile a person you think is awesome. 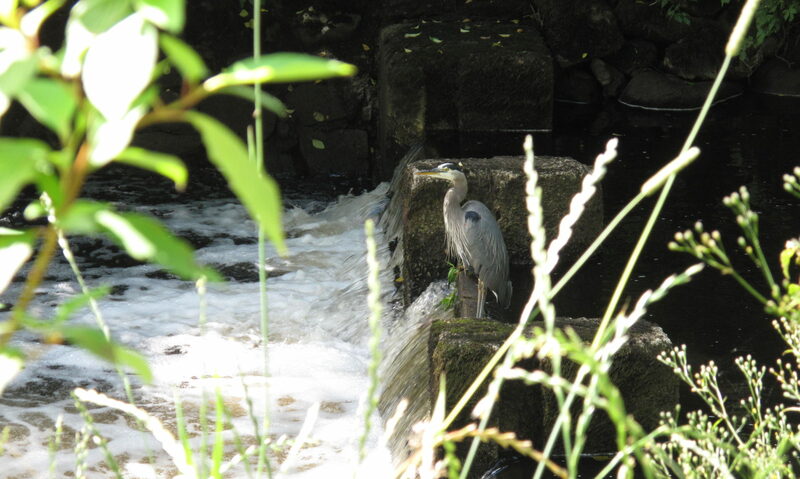 Balance some rocks at the riverfront and snap pictures of it and submit a photo essay. Hoping you find balance in your lives this month, my fellow New Westers. Some resources to get you thinking this month. Recovery Day in Uptown New Westminster on September 10, featuring a performance by the one and only Bif Naked. Tourism New Westminster’s Feast on the Fraser – specifically the Royal City Farmers Market Farm to Long Table dinner at Tipperary Park on September 29. Info and tickets coming out soon, but save the date for now. Reading list: Check out this great post in the New York Times, The Busy Person’s Lies written by author and time management expert Laura Vanderkam. Such great truths backed with some data. 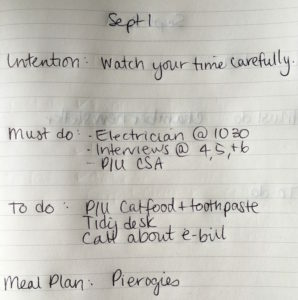 Time management: The Ivy Lee Method – this method centres are creating lists of specifically six things. I’ve been doing this for a number of months now, with some modifications. Each day, I start a fresh page in my notebook and date the page at the top centre. I write an intention, three things I *must* get done, and three things I *should* get done. I add a meal plan note as well. How to say no graciously: I get asked a lot to attend events, sit on boards, volunteer for gigs, have my brain picked. I am so incredibly bad at saying “no, thank you”. I badly want to be a part of whatever the invitation is about and contribute, but I have struggled with feeling out of balance after I’ve said yes. I found this huge list of ways to gracefully say “no thanks” and regularly consult it. That said, two gigs I have said yes to this month are: sitting on a panel for Word Vancouver about the art of the submission (September 25), and a talk and demonstration about terrariums at New Westminster Public Library (September 29). Watch: Norway has Slow TV. This is the opposite of most traditional network television. the producers pick a topic and then spend hours, if not weeks, digging into it. It’s now available on Netflix Canada. (h/t to our site developer Catriona for sharing this). Listen: I’m relatively new to podcasts but am really loving them this past month. Please share your favourites in the comments. My recent faves are Revisionist History and Serial. The art of the handwritten letter: A friend and I have been exchanging letters with one another using good old paper and pen. In her last letter, she commented “It is funny how different the things are that we talk about via letter versus text versus phone versus in person?” Why not send a handwritten letter to someone you haven’t talked to in a while? I like that it made me sit down and reflect on what’s going on in my life.